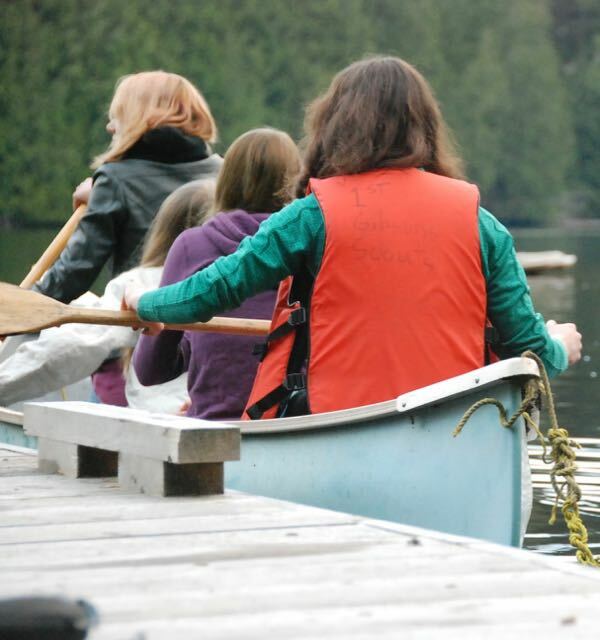 Camp Burley is located on Mixal Lake in the Pender Harbour Area of the Sunshine Coast. It is about an hour and a quarter drive from the Langdale Ferry Terminal. There are a number of sites, 2 of which have a main cook shelter, cub hulls and fire circles. There are also canoes and life jackets available. The surrounding area has many hiking opportunities. Try Pender Hill or Mount Daniel, within hiking distance of the camp, and be rewarded with spectacular views of Pender Harbour. A short drive will put you in range of other hiking trails. A must see is the Skookumchuck Narrows at tide change, just a short hike in from Egmont.